The average person uses over 300 litres of water to wash their car at home. The average car wash uses half that amount. Some automated systems use barely a 10th of it, when accounting for water recycling. But why would people spend hundreds of rupees to wash their cars when they can get it done for ‘free’ by the household help? Isn’t that what they’re paid for? In an area with 100,000 cars, one wash a week would end up using 30 million litres per week, or almost eight million gallons. That is over a million gallons. There are over 600,000 cars registered in Islamabad – a city with over 1.8 million residents – and many more which are registered in other cities. Based on the figure alone, one wash a week would use close to seven million gallons, or 11% of the city’s daily water supply in the summer. For comparison, in 2012, a severe water shortage in neighbouring Rawalpindi left 3.5 million residents of the city to share four million gallons a day for a while, and a water authority spokesman desperately urging people not to wash their cars. 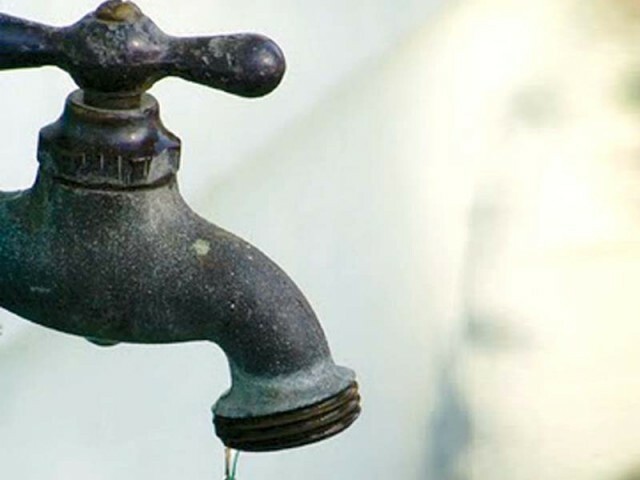 Parts of Karachi have had a serious water crisis in recent days but even though the port city is thousands of miles away from Islamabad, anecdotal evidence would suggest that public attitudes towards water shortage are worryingly similar. Most countries, even water-rich ones, use metered billing with large slab increases for higher usage. Even Canada, the country with the third largest water reserves, charges consumers more for higher consumption. Yet in Pakistan, a country where billing for every service, necessity or not, seems to be based on usage, water bills, both residential and commercial, are by-and-large based on flat fees due to people’s reluctance to install meters. Even with metered billing, the increments are relatively low. And like many other things, bill default rates remain high. Curious cases, such as the bill for over Rs260,000 sent to Fatima Jinnah for her house in Karachi, accruing since her death, are highlighted but the fact remains that in a city such as Rawalpindi, which has around 50,000 legal water connections, there are 10,000 defaulters who owe over Rs400 million. Add to that the estimated 25,000 illegal water lines in the city, and it is no surprise that the honest tax and bill paying citizen is left with the short end of the stick. On that note, Bilalwal House is allegedly using illegal lines to get water. There would be no surprise if this were true since the high-and-mighty of our land are known to hold themselves to a lower standard. Though the accusation has been denied, I can recount a discussion with a former MNA – who will remain unnamed out of respect for the dead – in which he was laughing about getting a water bill higher than his power bill. During our meeting, he called in his assistant to ask why the bill was so high. The answer was quite simple. The smirk on the man’s face disappeared almost immediately. The former MNA, incidentally, was a lifelong member of the party that Bilawal House’s residents now head. Given these facts, why wouldn’t people waste water? It’s not as if civic sense comes naturally to us. Other factors are obviously at play – the condition of water lines, the state’s inability to control supply or add reservoirs, and the level of pollution in many waterways. But no matter what domestic consumers do, until agriculture gets its act together, water shortages will continue. This is because over 90% of water goes to agriculture, even though people in many parts of the country do not have water to drink. Until water waste and usage inefficiencies in agriculture are addressed, domestic conservation is little more than eyewash. The Pakistan Agriculture Research Council estimates that two-thirds of supply is lost due to seepage and transmission loss, which also includes theft. Climate change and failure to add new reservoirs is leading to a reduction in water availability per capita. Meanwhile, failure to control population growth means that demand for water at all levels will continue to rise. Political and environmental scientists have long believed that the next world war will be over water. The local political discourse over water resources would suggest the seeds of an internal conflict have already been sown. But, as all things in Pakistan go, it is simply a blame game. Nobody is willing to own up to the fact that we are water starved, not due to climate change, but because our population is increasing at an alarming rate – 13 fold since independence. Split a pie six ways, and you have six happy people. Split a pie 78 ways, and people will throw 78 tiny pieces of pie at you. Absolutely correct observation by writer. But is it different in other developing countries? No. It is same in India. Take an example of Mumbai where abundant rain is falling. If rain skip a month, what shall happen to Mumbai can not be answered by any politician. May be half the Mumbai shall go without water. But all politicians, like their counterpart in other developing countries, are sleeping.